Since stopping by to wish you all a Happy New Year I've spent most of my time at the beach with family and friends. Feeling recharged and excited for the year ahead, I can't wait to get back into blogging regularly, although I know I probably won't be full steam ahead until the kids return to school and kindy in early February. While I've had a predominately tech-free holiday, even refraining from picking up my iPhone for hours at a time (a great achievement for me) Pinterest and Instagram have been my go-to's when I've felt like a little dose of interior inspo. As such I thought it fitting that my first post for 2015 would be a Pinterest one. Instagram will follow later this week! Things are pretty quiet on the real estate front at this time of year, but this listing on Stadshem caught my eye for obvious reasons. 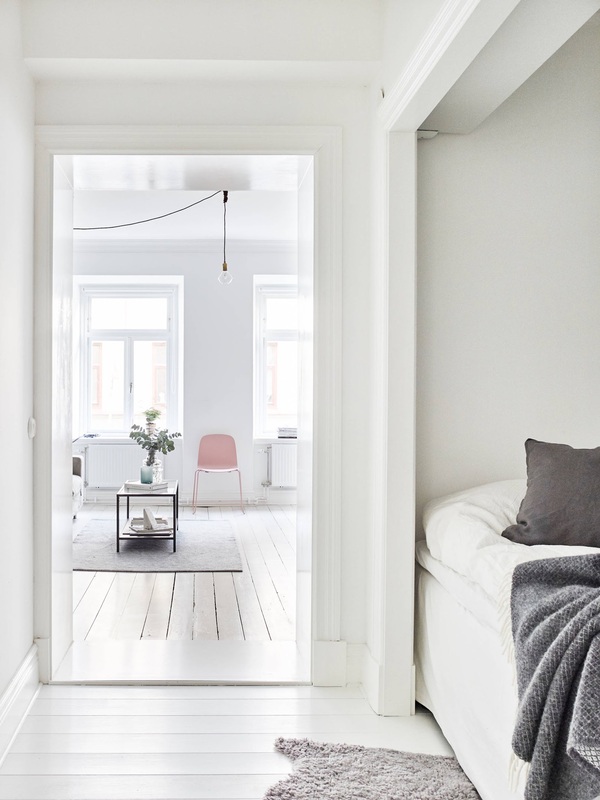 White and bright with loads of character and charm, I can't stop thinking about that pink Muuto Visu Chair. See the full house tour here. A Christmas decoration created by Sarah Sherman Samuel of Smitten Studio, I'm not sure I'd ever take this DIY wall hanging down! 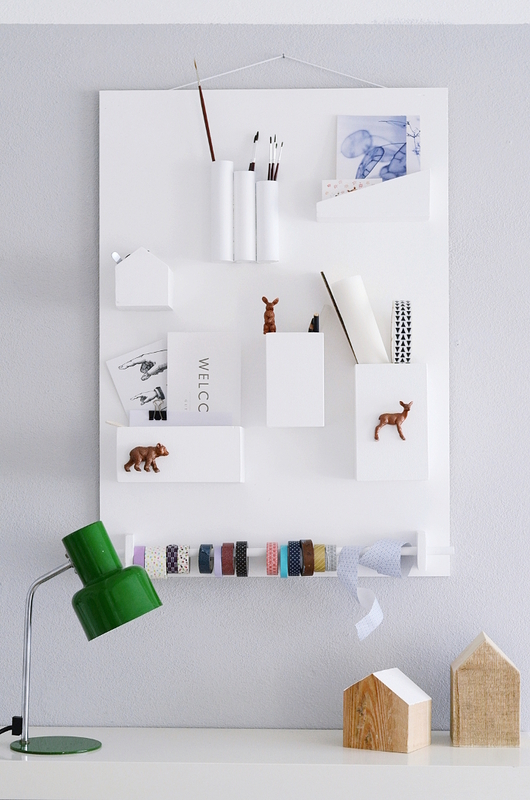 Another DIY, I love this Wall Organiser by blogger Rebecca of Sinnenrausch, via Dwanda Blog. 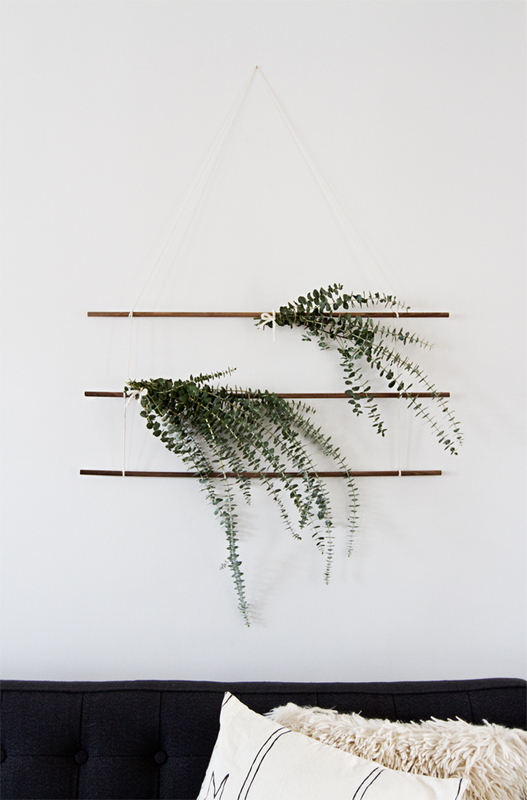 Simple yet practical, it's perfect for a kids room, but would also be handy in any workspace. A list of materials and instructions can be found here. One more for the kids, how cute is this bedroom? Styled for the latest issue of Inside Out by Jessica Hanson and photographed by Craig Wall. The H&M Home Spring 2015 Collection has been inspired by the season itself, bringing light and nature into the home. 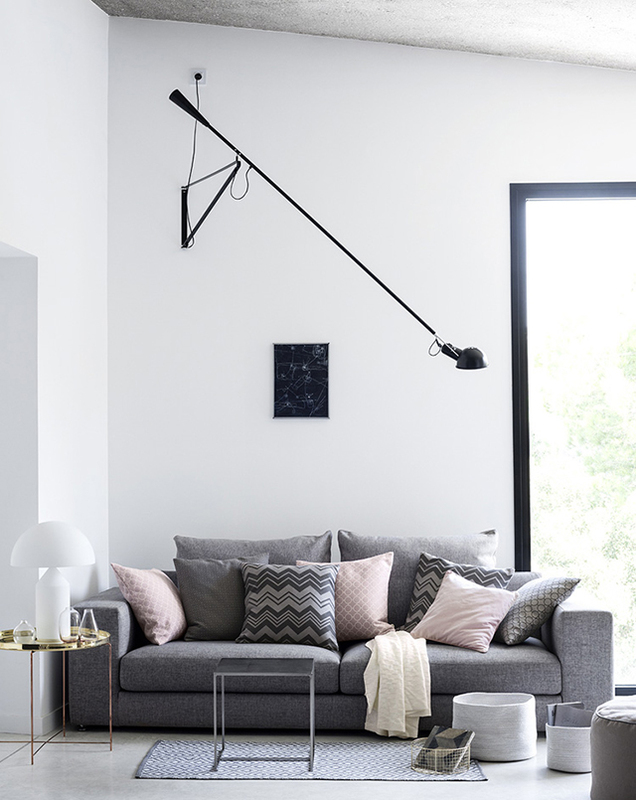 It's great to see that the soft dusty pinks and metallic accents of last year are here to stay. The metallics and green plant provide a beautiful contrast to the grey backdrop, but the artwork is a real standout in this image. Clicking through from Pinterest, I was interested to discover it is actually an ACNE shawl that the owner had framed. Find out more on Skona Hem. 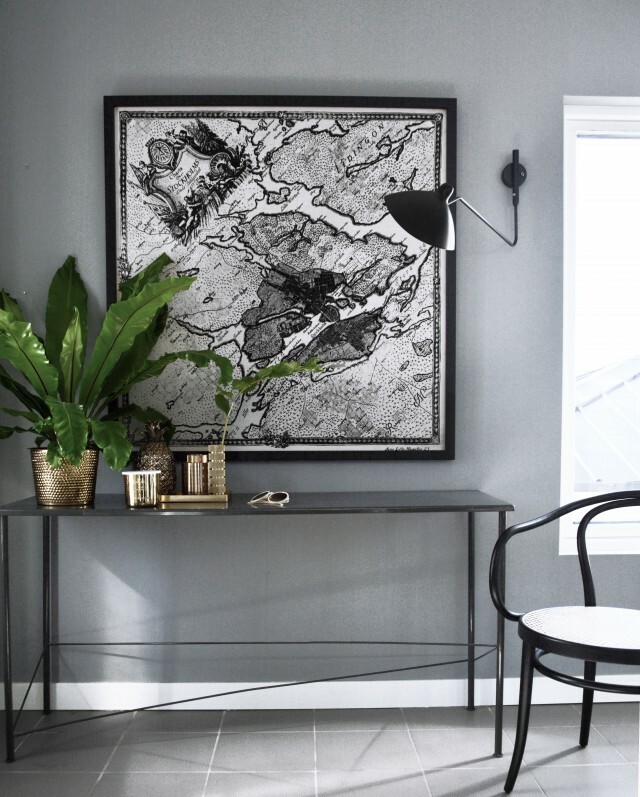 hej, vet du vart den grå soffan är från på bilden från H&M Home?